The bark of the cassia tree—used to make cinnamon sticks and powder—offers not only spicy delight but also medicine. An example of its medicinal value is that it helps control mildly elevated blood glucose levels. Generally, different parts of a plant or tree may have different healing properties. Cassia trees are no exception. For beyond the bark, grow twigs. And there is a distinction in health benefits between the two. Yesterday, I prescribed cinnamon twigs for a patient with swelling and arthritic pain in her finger joints.1 While both the bark and twigs invigorate blood circulation to treat pain from blood stasis, the twigs target smaller arteries and the upper limbs. 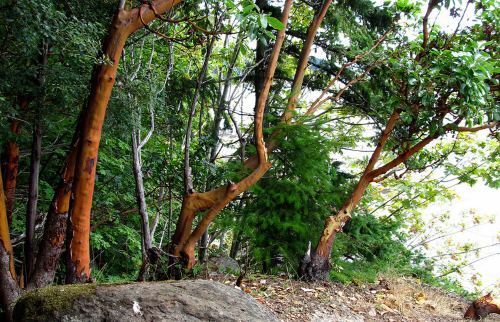 The bark is used to strengthen Kidney Yang—a deficiency of which can lead to infertility or diminished vitality. However, if you tend to run hot, it will make you hotter. Not hot, as in: enhancing your selfies. But hot, as in: uncomfortable and irritated. The twigs are anti-bacterial and anti-viral, and can be used to treat some cases of flu or upper respiratory tract infections, depending on the patient’s constitution. ***While cinnamon bark is considered safe (it’s a common spice, after all) and up to 4 ½ g can be taken daily (15g, in severe cases), modern research has found that it has higher levels of coumarin—a natural chemical that can irritate the liver. This adverse effect is not long-term, yet caution should be maintained. A chemical distinction between cinnamon bark and cinnamon twig is that the twig contains low levels of coumarin. 1 The Chinese medicine term for stubborn and severe pain, that is similar to rheumatism and arthritis in Western medicine, is Bi Syndrome. Brancheau, Daniel, B. Patel, and M. Zughaib. “Do Cinnamon Supplements Cause Acute Hepatitis?” American Journal of Case Reports 16 (2015): 250-54. Print. Ding, Yan, E. Q. Wu, C. Liang, J. Chen, M. N. Tran, C. H. Hong, Y. Jang, K. L. Park, K. Bae, Y. H. Kim, and J. S. Kang. “Discrimination of Cinnamon Bark and Cinnamon Twig Samples Sourced from Various Countries Using HPLC-based Fingerprint Analysis.” Food Chemistry 127 (2011): 755-60. Print. Carl Balingit is a former engineer who applies rational thought to the often subjective nature of traditional healing. He practices acupuncture in San Diego, CA. He also prescribes Chinese herbal formulas. The herbs do not necessarily come from China. Kud-zu pass me the bottle?